The strategic planning board members at the CEPA Foundation contribute their input, ideas, experience, and professional advice on matters such as market assessment, business development, fundraising trends, political changes, and financial guidance. They also serve as ambassadors for advocacy and public engagement. Debra Carnahan is an attorney, former judge, founding partner of a law firm and political participant and advisor for almost four decades in U.S. politics. She is a former state and federal prosecutor and for many years was an adjunct professor of legal studies at Columbia College, which in 2005 bestowed on her its highest award of Distinguished Alumni. 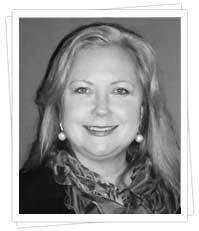 Debra received her Juris Doctors from the University of Missouri and studied law at the University of London, University College. She was elected to serve on the Board of Governors for the Missouri Bar which governs the legal profession in that state. She was honored by the City of St. Louis for her service to the community and her work as a judge with the Problem Properties Court, one of the first of its kind in the U.S.
Debra has extensive experience in fundraising and has served on local, state and national boards. She is a regular political and social commentator on PBS and it's international show "To The Contrary" which has aired for 24 years. Additionally she has traveled extensively and been a participant in numerous global conferences and meetings with heads of state and other dignitaries. Currently she is a principle and founder of Carnahan Global Consulting. 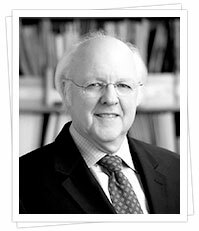 Since 2001, Joachim Krause is a professor of Political Science and holds the Chair for International Relations at the University of Kiel, Germany. He is Director of the Institute for Security Policy at the University of Kiel (ISPK). Before 2001, he was Deputy Director of the Research Institute of the German Council for Foreign Affairs in Bonn and Berlin (DGAP) and a senior researcher with the German Institute for International and Security Affairs (SWP). He served as an advisor with the German delegation to the Conference on Disarmament (CD) in the 1980s and was a consultant to UNSCOM in 1991 and 1992. He was Steven Muller Professor for German Studies at the SAIS-Bologna Center of the Johns Hopkins University in 2002/2003. His field of expertise are international strategic issues, terrorism, nuclear non-proliferation, multilateralism, German and European foreign policy as well as theoretical and policy oriented issues. Among his recent publications are Jahrbuch Terrorismus 2013/2014 (Yearbook on Terrorism 2013/2014, Opladen and Farmington Hills: Budrich Publ. 2014), Afghanistan, Pakistan and Strategic Change. Adjusting Western regional policy (London: Routledge 2014, together with Charles King Mallory); The EU, the UN and Collective Security. Making Multilateralism Effective (London: Routledge 2012, together with Natalino Ronzitti), Iran’s Nuclear Programme – Strategic Implications (London: Routledge; 2012), International State Building and Reconstruction Efforts – Experience Gained and Lessons Learned (Farmington Hills: Budrich; 2010). 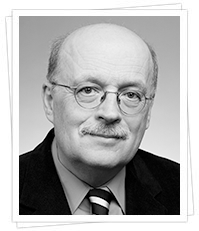 He is also a member of the Executive Board of the Aspen Institute Germany and chairman of the Scientific Directorate of the German Council on Foreign Affairs. After graduating from high school he completed his compulsory military service. From 1985 Mr. Krichbaum studied Law in Tübingen, Lausanne & Geneva (Switzerland) and at the Ruprecht-Karls-Universität in Heidelberg from where he graduated in 1991. His spend his internship (Refrendarium) at the district court in Heidelberg. 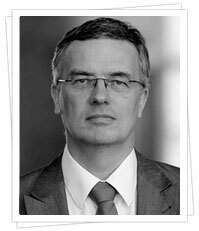 From 1995 to 2002 Mr. Krichbaum was an independent auditor at MLP AG in Pforzheim. Since 2002 he is Member of the German Federal Parliament in Berlin. He is the chairman of the European Union Committee as well as a deputy member of the Budget Committee. He serves his party in numerous positions. Since 1998 he is the chairman of the local CDU party in Pforzheim Nord-Ost and deputy chairman of the CDU city association. 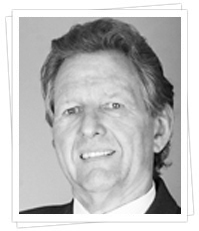 He is a member of the economic advisory board and the association for small and medium size businesses. He is a volunteer member in a number of socially engaged associations and NGOs. Amongst them the Europa-Union Deutschland e.V., Fondation Robert Schuman in Paris, the Institut für Europäische Politik e.V., Lebenshilfe e.V., Deutsch-Rumänischen Forums, Deutsch-Rumänischen Parlamentariergruppe - the German-Romanian Parliamentary Group. He is married and has three children. Prior to his position at the Aspen Institute, he served as the executive director of the German–American Heritage Foundation and museum in Washington DC, USA. From November 1998 until December, he has been the bureau chief and senior diplomatic correspondent of the TV and Radio studio of Deutsche Welle in Washington. Prior to his assignment in Washington, he served as Deutsche Welle’s Brussels Bureau Chief. Before joining Deutsche Welle, Lentz worked as a correspondent for the German news magazine Der Spiegel after having served in the German Armed Forces for eight years. From 1981 to 1988, he worked as a TV commentator and senior reporter at ARD/WDR, Germany’s largest public TV and radio station. Lentz has also held various positions including that of Editor in Chief at RIAS-TV Berlin from 1990-1992. As the Executive Director of German TV from 2002-2005 he was responsible for the branding and market entrance plan of German TV in the US marketplace. He has been a visiting lecturer at Harvard University, the School of Foreign Service in Washington, and a regular guest on CNN and C-Span. 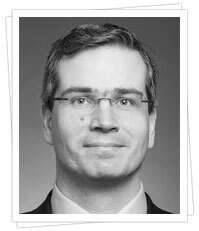 He is an Associate Partner at Bohnen Kallmorgen & Partner in Berlin, a long time member of the Atlantik-Bruecke, and a founding member of the German American Business Council (GABC) in Washington. Lentz was born 1947 and studied international relations, history, and economics at the University of Hamburg. In early 2014, he founded the company "Löning - Human Rights & Responsible Business". Along with his years of experience in human rights work, he also brings political and communication experience to his business, which supports companies in the implementation of the UN Principles on Business and Human Rights. From 2010 to 2013, he was the Human Rights Commissioner of the German Federal Government. From 2002 to 2009, he was a Member of the Parliament with a focus on European and development policy. He has visited more than 70 countries in Europe, Asia, and Africa. He has worked with governments and civil societies worldwide. He is currently the honorary vice president of the world federation of liberal parties and a member of the German Committee of UNICEF. 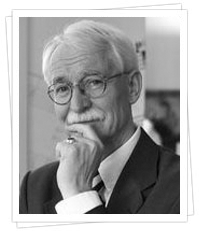 Prior to his time as a professional politician, Löning worked 15 years with his own independent advertising agency. Löning grew up in Germany, the Netherlands and Luxembourg and studied at universities in the UK and Germany. He has a Master's degree in Political Science. Dr. Rückel has taken great interest in fostering and improving the relationship between Germany and the United States, particularly through supporting the exchange of German and American students and young professionals. As the Senior Adviser of the American Chamber of Commerce (AMCHAM) Southeast USA, he plays a large role in supporting the US-German Internship Program. To ensure that the exchange is mutual, he has recently founded in Munich, Germany, the German-American Exchange e.V. This organization orchestrates and supports programs for German students and young professionals who wish to study and intern in the United States. He serves on the Emory College Advisory Council German Department in Atlanta, GA, is a member of Atlantik Brücke e.V., and the Founder and Chairman of the Supervisory Board of OneBridgehouse, an international business advisory firm with offices in Atlanta and Munich, where he has expanded his legal expertise and utilized his varied experience in international and intercultural communication and consultation. 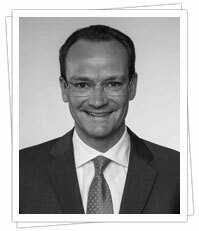 Prior to joining Deutsche Bank, Philipp worked for CIBC World Markets and Intermediate Capital Group in London and Frankfurt. Having more than 12 years experience in Investment Banking, Philipp arranges and structures sub-investment grade acquisitions financings, leveraged buyouts as well as High Yield bond and leveraged loan issuances for European corporate and private equity clients. Philipp graduated from University of Bayreuth in Germany majoring in Business Administration, Finance and Accounting. In 2007, he participated in the Executive Business Excellence Program of Columbia Business School in New York. Beyond his professional achievements, Philipp is also an active member in various associations promoting international dialogue. He is a member of Atlantikbrücke e.V. via the Young Leaders program, as well as United Europe. He also participated in the Königswinter Conference, which is agathering of around 80 German and British politicians, diplomats, business managers, academics and journalists who meet each year to exchange ideas.